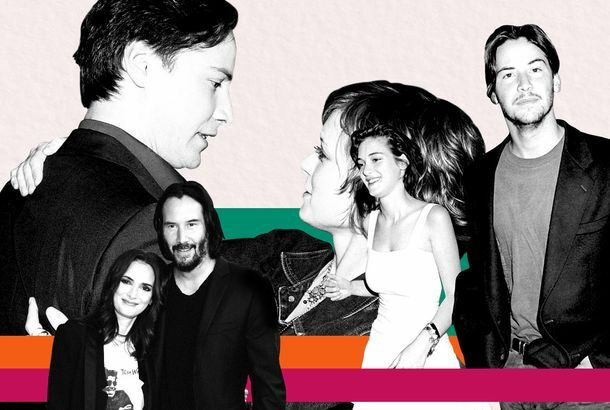 A Timeline of Winona Ryder and Keanu Reeves’s 30-Year FriendshipWhen Ryder met Reeves. In Destination Wedding, Winona Ryder Meets an Incel and Sparks FlyThe movie feels like a ‘90s romantic comedy, and not just because its leads are like a time warp in and of themselves. Watch Keanu Flirt With Winona and Her Flannel PJ’s in Destination Wedding ClipLove in the time of flannel jammies. Winona Ryder Says She’s Been Married to Keanu Reeves for 25 yearsShe says they got married on the set of Dracula in 1992. Winona Ryder Says She’s Been Married to Keanu Reeves for 25 YearsWhat happens in Romania doesn’t actually stay in Romania. Tracing Winona Ryder’s Career Via Her Most Memorable QuotesWe singled out 12 sound bites from Ryder’s films, from her auspicious beginnings to her mainstream fame and onto her fascinating present. Destination Wedding Trailer: Keanu Reeves and Winona Ryder ReuniteSee it August 24. Report: Stranger Things Cast to Make Supernatural Amounts of Money in Season 3The stars have recently renegotiated their contracts. Someone Give Winona Ryder a Golden Globe for This L’Oréal CommercialIn which her career is compared to damaged hair. The Secret Origins of the Web’s Favorite Winona Ryder Bully-Revenge AnecdoteDown the Ryder rabbit hole. 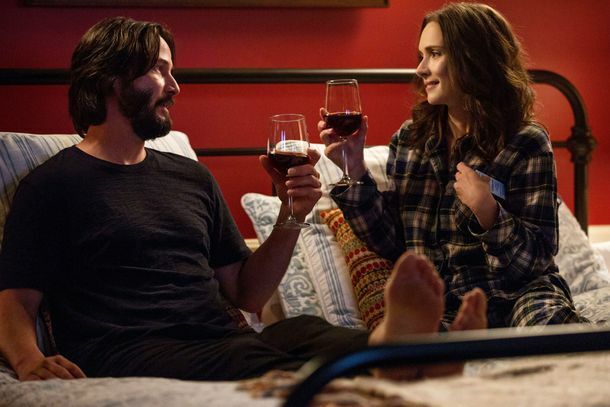 Finally, Keanu Reeves and Winona Ryder Are Starring in a Rom-Com TogetherA match made in heaven. Here Are Winona Ryder’s 13 Best Screen Actors Guild Awards Reaction FacesWinona Ryder’s face encapsulates a nation at war with itself. Stranger Things Wins Best Ensemble at SAG AwardsBut they’re going to punch some people in the face. Make Your Own Stranger Things Christmas Light MessagesWho needs texting when we have Christmas light messages? The 5 Most Feminist Moments in Netflix’s Hit Summer Show Stranger ThingsPretty much everything Eleven does. Turns Out Playing a Mom Was Exactly What Winona Ryder NeededHer persona makes the standard role something more exciting. Stranger Things Is a Throwback to ’80s Chills and Spielbergian ThrillsCross Spielberg with a Stephen King novel and you’ve got this Netflix series. Watch the New Trailer for Stranger ThingsSometimes parents just don’t understand. Marc Jacobs Chose a Woman Over 40 for Beauty AdsWinona. Forever. Rag & Bone Took Winona Ryder to Coney IslandWhere she played the claw game. Rag & Bone Is Team Winona ForeverRyder stars in their new ad. To Tavi on Her 18th Birthday, From Winona and AudreyBrown leather gloves, passed down to the next generation. Helen Mirren Is Winona Ryder’s LandladyWhat fun they must have. The Winona Ryder Look BookHer best looks, from Heathers to the present. 26 of the Best Short Haircuts in HistoryFrom Edie Sedgwick’s iconic pixie to Agyness Deyn’s platinum boy cut. 29 of the Best Bob Haircuts in HistoryNow that everyone’s doing it now, here are the ladies who’ve already done it. From Winona Ryder to Mary-Kate Olsen: A Tribute to Goth-y BrunettesThe darker the hair, the more complicated the personality, naturally. Winona Ryder Joins The IcemanShe’ll play the wife of a mob contract killer. Last Night on Late Night: Winona Ryder Doesn’t Google Out of Fear of Joining Al QaedaPlus, Donald Glover revealed his dong-loving original Twitter handle, on our regular late-night roundup. Industry Roundup: Winona Ryder, Robert ZemeckisPlus: Olivia Thirlby lands lead in sci-fi flick. Denzel Washington Swinging for the FencesPlus: Halle Berry will teach you a lesson! Pitbull Politely Requests That You Refrain From Throwing Money at His ConcertsPlus: Winona Ryder acts on an empty stomach.